Graphic OLED 2,3" 122x32pix with dedicated adapter for UTCOMP. Color: blue/cyan or white. 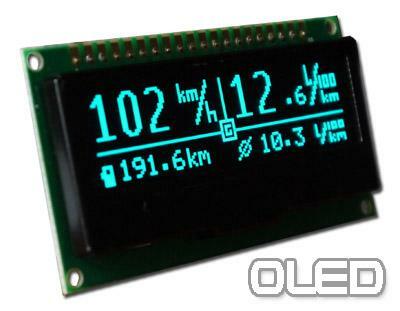 Graphic OLED 122x32 (2,3") with dedicated hardware adapter for UTCOMP. Operating temperature -40C...+85C. View angles >160deg. Hardware adapter is included. No mods required, only UTCOMP with firmware 2.0.4 (or latest).